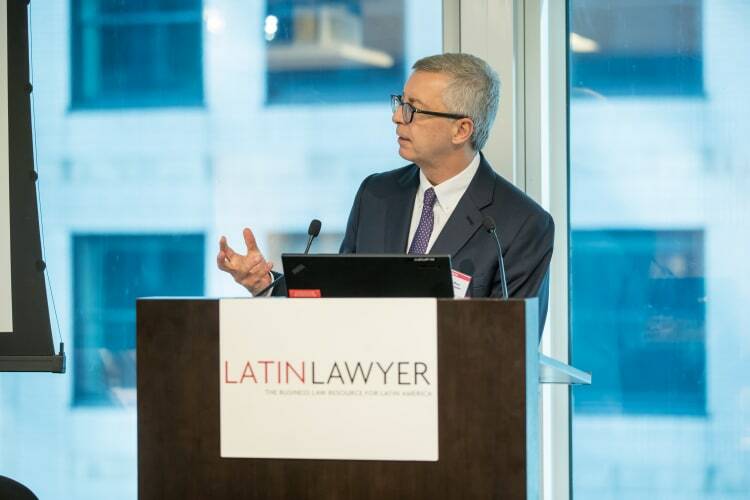 Advising family-owned companies looking to sell is one of the most complex aspects of private equity lawyering in Latin America, heard delegates at Latin Lawyer’s 8th Annual Private Equity Conference, held in New York in September. “It’s a different kind of lawyering,” said Debevoise & Plimpton LLP partner Maurizio Levi-Minzi regarding acting for families. “You have to have a different set of skills to educate them through the process.” Levi-Minzi was moderating a panel on the nuts and bolts of private equity lawyering. Dealing with a family lawyer can be delicate. “Usually they have been around for years and years and they are probably a friend or cousin and don’t want to get pushed out of the deal,” said Pablo Mijares, a partner at Mexico’s Mijares, Angoitia, Cortés y Fuentes SC. Despite possessing an intimate knowledge of their clients’ affairs, families’ counsel often have a rudimentary grasp of corporate law. “These people normally are not sophisticated enough to know what an M&A is and you have to educate them through the process,” said Argentine firm Marval, O'Farrell & Mairal partner Hernán Slemenson. Mijares recommended getting the family lawyer to disclose all at the start of the process. “I always tell them look, this is your company so, whatever you did with it, I’m not going to judge you but you need to tell me because we need to find out what you’ve done and we need to fix it,” he said. Even if a problem cannot be fixed, then legal counsel need to agree how to disclose the information. “What cannot happen is for the buyer and their advisers to find out and you never told them about it,” warned Mijares. Dealing with family-owned companies throws up issues that corporate lawyers don’t usually encounter. For example, lawyers often find that family-owned businesses don’t keep their finances in order. “The right pocket is used to fit the left pocket, meaning that many business expenses are actually family expenses. This makes valuing the company very difficult,” said Andrés Hoyos-Ramírez, a partner at Colombian firm Gómez-Pinzón Zuleta. The type of assets that family companies have on their books is another issue. For example, some families expense the acquisition of airplanes and expensive cars to their businesses, complicating reporting requirements. In one case, Hoyos-Ramírez said that a family owned weapons through their company. “We were wondering: how are we going to take all these weapons as an excluded asset?” he said. Delegates heard that private equity lawyers in Brazil are becoming increasingly industry specialised. “As the market has become more mature, we see more and more specialisation. There are some sectors where that’s already a reality, like in infrastructure and energy,” said Pedro Whitaker de Souza Dias, a partner at Brazil’s Mattos Filho, Veiga Filho, Marrey Jr e Quiroga Advogados. But this is not the case in Mexico, said Mijares. “I cannot tell you that an M&A or a private equity lawyer in Mexico will devote himself or herself exclusively to doing infrastructure work.” In Mexico, private equity lawyers still work across different industry sectors, he continued. Argentina is another country yet to see specialisation; lawyers there have had to be versatile because of the varied economic fortunes the country has experienced in recent decades. “First when the 90s came, everyone was doing capital markets M&A privatisation or whatever, and then the crisis hit and everyone converted into a restructuring lawyer,” said Slemenson. Yet the environment for business has improved by leaps and bound in Argentina since the election of Mauricio Macri in 2015, heard delegates in a panel on venture capital. “For our president it is very important that this entrepreneurship and this venture capital be developed,” explained Argentine firm Beccar Varela’s María Fernanda Mierez. The progress Argentina has made garnered praise from an unlikely source. “I am very impressed how, in just a couple of years, [Argentina] changed the whole regulatory framework to favour entrepreneurship,” said Francisco Guzmán, a partner at Chile’s Carey, who moderated the panel. One of the changes that has helped entrepreneurs in Argentina is the formation of a new type of entity that allows companies to register online within a day. “Just to give you a little bit of context of how impressive it is, depending on the type of business that you want to set up in Brazil, it can take up to six months to establish a company to become fully operational,” said João Busin, a partner at Brazilian firm TozziniFreire Advogados. In previous panels, delegates heard how onerous regulations are impeding leveraged buyouts and how long-term and sector-focused private equity investors are flocking to Latin America. Other panels explained how corruption issues are derailing many private equity investments and how the influx of private equity funds is contributing to a greater focus on compliance and corporate governance.